I was a teacher for twenty years, and I love working with teachers and library media specialists to tailor presentations and workshops to best suit the needs of each school. , 40 – 50 minutes. Up to 200 students per presentation is preferable—less for a more personal experience (although greater numbers can be accommodated). , writing tips, and Q&A. Hands-on activities designed for one class (up to 30 students), 40 – 60 minutes, depending on grade level and activities. Contact me to talk about a class Skype visit! 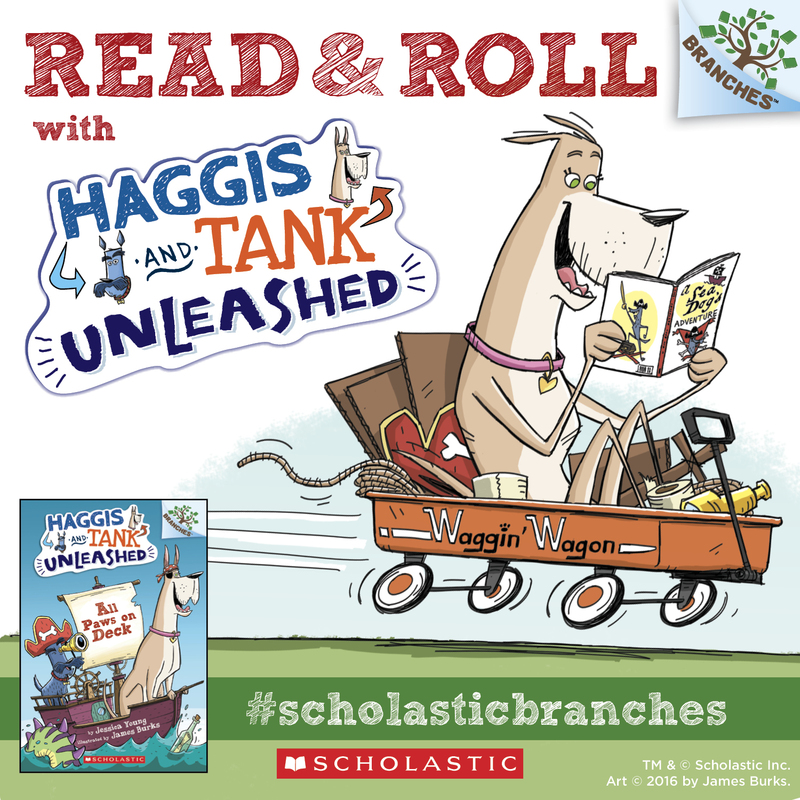 Find out more about Haggis and Tank Unleashed. Print Homophone Hunt, Design Your Own Pirate Flag, Create Your Own Dialogue, Packing Light, and Same and Different activity sheets, and After Reading Guide. Additional Haggis and Tank Unleashed activities and lesson ideas. 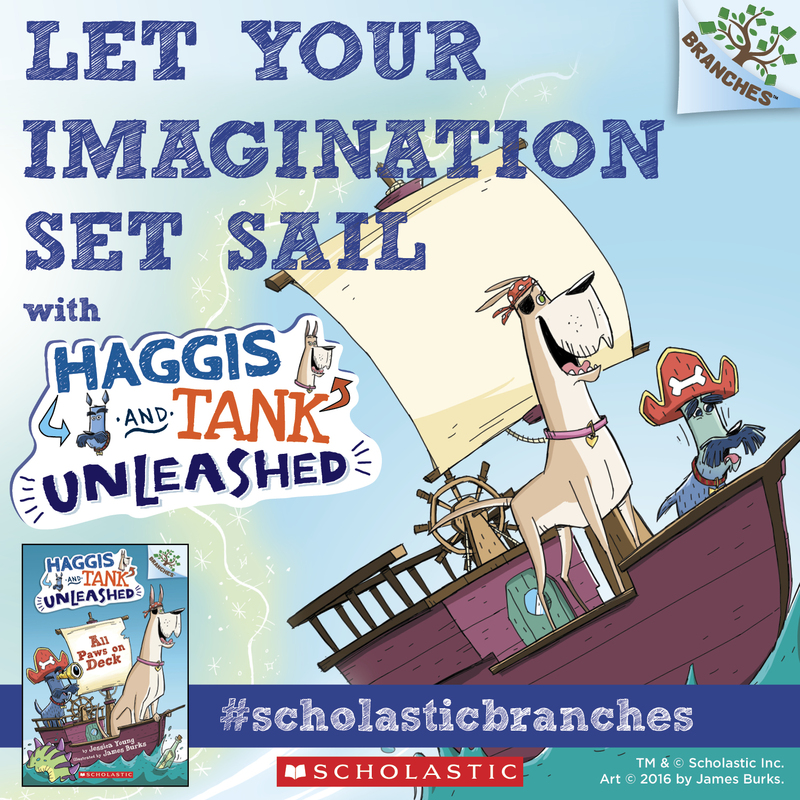 Print Haggis and Tank posters on imagination and reading here and here. Find out more about Finley Flowers and print activities.